If you are thinking of buying Jonathan Milligan’s Blogging Your Passion University, you need to read this review first. Is it worth it? Is it right for you? Keep reading to find out…and if it is right for you, how to get more than $4,000 in exclusive bonuses. So you’re reading a review of Jonathan Milligan’s Blogging Your Passion University…that means I know one thing about you…you are interested in starting a blog (or taking yours to the next level), right? I also know this…you aren’t sure if it’s worth it. Or if it’s right for YOU! Here’s the thing…it MIGHT NOT be right for you. And this review will help you decide. First off, a full disclaimer: Jonathan is a long-time friend. We’ve spent probably 100+ hours together via phone, video, and in-person. I am also an affiliate of his. But to be 100% clear, that does not change what I share below in any way. My review is honest and hopefully super-helpful to you. What it DOES mean, however, is that if you buy through MY life, I will get a commission. 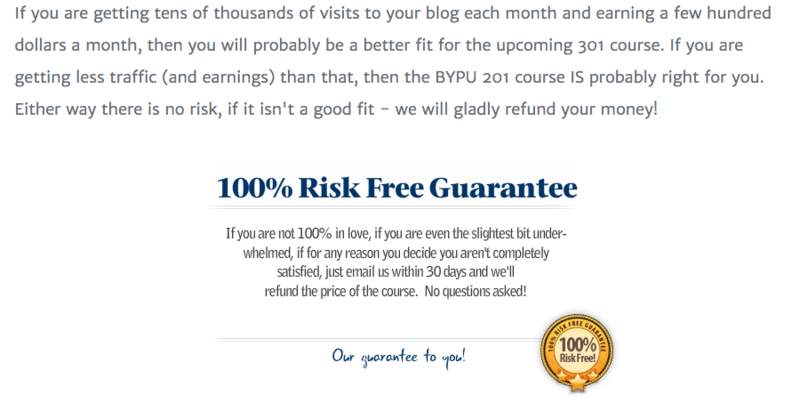 It also means that if you purchase Blogging Your Passion University through my affiliate link in this review, you get access to FIVE exclusive bonuses worth more than $3,000. These bonuses are not available anywhere else…only through my link. You do like bonuses, don’t you? So, with that disclaimer out of the way, let’s jump right into my full review of Blogging Your Passion University by Jonathan Milligan. What’s Good About Blogging Your Passion University? Long before we were friends, I was a FAN of Jonathan’s. I’d long admired his work and studied what he was doing. In fact, maybe just like you, I’d been a reader of Jonathan’s blog for a couple of years before we ever got to know each other. First, he has a genuine heart for teaching others and wants more than anything for his students to succeed. Second, he only shares what he himself has practiced. He’s done everything he is teaching. He’s built a couple of hugely successful blogs and he walks the talk. His teaching is definitely more practical than theoretical. I include this in the “what’s good” section, but fair warning, if you want a lot of backstory and theory, this course is not for you. If you need three dozen reasons why something works, you won’t get them in this course. But, if you are like me and want to cut right to the chase, Blogging Your Passion University is for you. You’ve probably heard the saying, those who can’t do, teach, haven’t you? NORMALLY, that is true. I’ve known a LOT of crappy teachers over the years. The reason they sucked is because they had no practical experience themselves. As I mentioned above, Jonathan’s teachings are based on years of building successful blogs himself. He’s been the guinea pig for many of his own ideas…and that means you don’t have to make the same mistakes he made. He’s already done the learning for you. While the “School of Hard Knocks” has a certain glamour to it, I’d rather learn the easy way…from someone who has been there, done that. That’s BYPU for you. Some people teach only because they can’t DO. Jonathan teaches because he wants to help others avoid the pitfalls he’s been through himself and share what actually WORKS with his students. One of the things I love about the course is that, even if I knew nothing about blogging, I could get through it in about three weeks if I committed myself to an hour a day or so. This is NOT some 50-module, 6-month long marathon course. It’s a course you WILL actually finish, because Jonathan purposely designed it that way. Over the past decade, I’ve personally bought about a dozen courses. Guess how many I’ve actually finished? The good news is (I guess) is that I’m not that unusual. Statistics say that only about 20% of students finish online courses. YIKES! Maybe it’s because some teachers try to cram a lifetime’s worth of information into a single course. But that is not what you need. You need a simple course that gets you started on the right path and only shares what you need to know, right? Last I checked, Blogging Your Passion University 101 had about 30 videos, averaging 8 minutes in length. The 201 version had roughly 20 videos, also averaging about 8 minutes each. I just went through the course…after blogging for more than a decade. So admittedly, I am NOT the target audience for Jonathan’s course. But I went through it with the mind of a beginner to intermediate student and found that it truly walked me through step-by-step. When I logged in for the first time, my fear was that it be too much “overview” and not enough step-by-step, but I was pleasantly surprised. In fact, after a few lessons, you’ll begin to feel like Jonathan is your guide (exactly what he calls himself in the course). He’s literally walking with you step-by-step. If I had this course when I first started blogging, Jonathan would have saved me at least 2 full years of struggle and frustration. What’s Not Good About Blogging Your Passion University? This is a personal thing for me (and maybe for you, too). While the content is GREAT, I wish it had more of Jonathan on video, not slides. Part of it is my Entrepreneurial ADOS (Attention Deficit…Oh Shiny). With the slides, I found myself drifting. Many people learn just fine with slides, so it may not be a big deal for you. If it is a big deal for you, here is my recommendation. Do as I did and make sure you put it in full-screen mode and tune out all other distractions. This was a big help to me and allowed me to focus in on what Jonathan was SAYING, even if the screen was still. Another tip: Download the audio for each lesson so you can listen on the go and continue your learning. I’ve done this with other courses and found it to super helpful to continue to reinforce my learning. If you thought building a blog that makes a difference was simple, it is. If you thought it was easy, sorry. If you follow what Jonathan teaches, you WILL succeed. If you follow what Jonathan teaches, you are also in for some hard work. My question is: How bad do you want it? If you don’t invest the time to LEARN AND DO, you will not succeed with this course. So don’t waste your time and money. BUT…if you are willing to invest approximately 30 minutes each day learning and another 30-60 minutes DOING, your blog will be successful! I include this in the “What’s Not Good” section just to be 100% clear that this is not a magic pill. My intention is not to scare you, but to make sure you are prepared to put in the time and effort. OK…that is it for the not-so-great stuff. Seriously. Yeah, I get it…”Really, Matt? That’s all?” Really. That is all. Blogging Your Passion University is SOLID! Who is Blogging Your Passion University For (And Who is it NOT For)? You have not started a blog yet, but you know you have a voice and want to start one. You’ve just started a blog, but it’s not going so well. You have a business and you’ve heard about this “content marketing thing” and want to start a blog to promote it. You are a speaker, podcaster, or have another online personality-based business and want to start a blog to draw attention to your products and services. You’ve been blogging for more than 6 months and have been consistently growing month after month (see 201 below). You think starting a blog will make you an overnight sensation online (news flash…probably not going to happen…sorry!). Using Microsoft Word or sending a text message causes you to break out in hives. OK, I am half-joking here, but let’s get real…you WILL have to write! You’ve been blogging for a few months and want to explode your growth. You have a blog but under 1,000 email subscribers. You have a blog but aren’t monetizing very much or at all (my bonuses below will also dramatically help with that!). You struggle to create consistent content. You are ready to take your blog to the next level. You don’t currently have a blog (get the 101 version instead). You currently have a blog and more than 10,000 email subscribers (congrats…you are rocking it!). You only want to blog as a hobby, not build a legitimate business or side hustle with it. What’s Inside Blogging Your Passion University? It would probably easier to list the things that are NOT in the course, because it really is a comprehensive guide to starting and growing a blog. Like I wrote earlier, I really wish the course had been around when I first started because it would have saved me a LOT of frustration, time, and money. I’d likely have a few less gray hairs now! Blogging Your Passion University 101 is broken down into 5 modules that take you sequentially through the blog-building process. As you can see, he takes you through how to discover your passion, narrow them down if you have too many (you want to start specific and small), how to create your avatar (or ideal customer), and even how to choose the right domain name. My advice: Don’t skip this if it seems overly simplistic. I actually got a LOT Of value out of the customer profile lesson, and I’ve been doing this for more than a decade! Module 2 is all about your blog’s brand. Decide your voice – this is what makes you uniquely YOU. Jonathan shares the 5 different blogging voices and how to decide which is right for you. Decide your story – every guide and hero has a story. What is yours? Develop your brand elements – this is how you get your logo design, tagline, and more. This is what makes your blog POP! Module 3 is the part of BYPU that you might not like…if you thought this was some sort of overnight, easy-peasy, get-rich-quick scheme. This is a quick module all about building your LONG-RANGE plan. If you want to become a full-time blogger, Jonathan shows you how step-by-step (or as he says brick-by-brick). 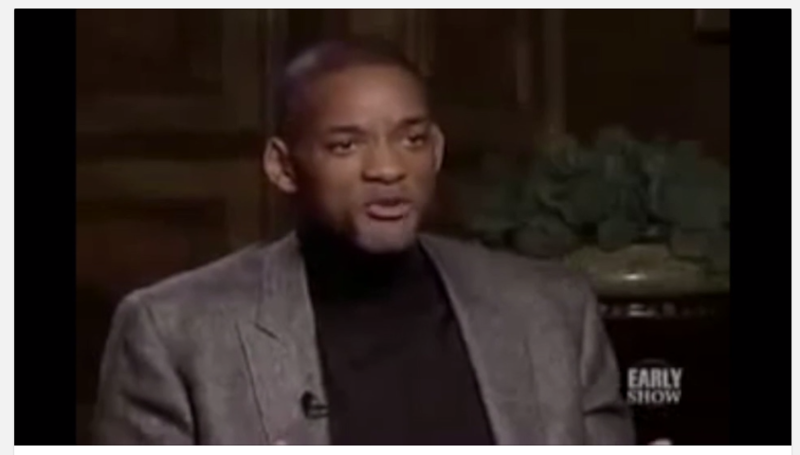 Pro Tip: Don’t skip lesson three with Will Smith. Honestly, it might seem like nothing more than a motivational video, which it is, but it’s worth the 5 minutes. Module 4 is by far the longest, but also one of the most important. This is where you get past the technical struggles and LAUNCH YOUR BLOG! Jonathan shows you why you should self-host (please, please, please follow his advice here), how to set up WordPress, how to select the right theme, and a bunch of other techie stuff. But he makes it SOOOO simple. 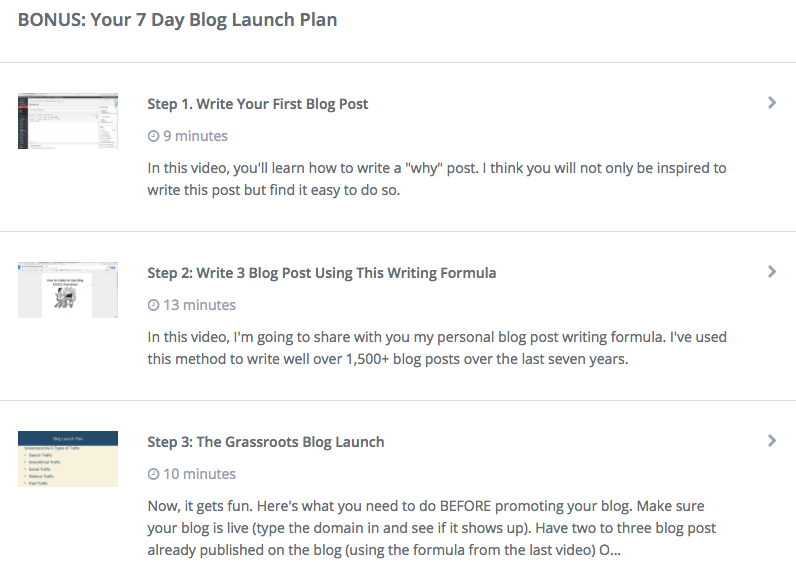 And…Module 5…which is all about your content and launch strategy. Going live is just the beginning. Now it’s time for a PLAN. A plan to write and publish CONSISTENTLY. This is where 95% of blogs fail. They don’t publish consistently. Jonathan teaches you how to use focus sessions to make the time, helps you commit to a publication schedule, and create an editorial calendar. These are the signs of a TRUE professional! The Grassroots Blog Launch video is UNREAL…once again, I wish I’d know this stuff 10 years ago! What About Blogging Your Passion University 201? Once you’ve started your blog and built a bit of an audience, it’s time for the 201 version of the course. Blogging Your Passion University 201 is designed specifically to help you get your first 1,000 email subscribers. Jonathan again walks you step-by-step through doing this in a four-module course. The first module is called “Your Fast Content Creation Strategy” and the name kind of says it all. Jonathan shows you in this module how to create GREAT content in the most efficient way possible. This formula is almost EXACTLY what I use and it WORKS! Module One also shows you how to start a podcast, how to get started on YouTube, and how Jonathan uses his own editorial calendar. Module Two is called, “Your Email Marketing Setup Checklist” and once again the name says it all. Let me be clear…if you do not build an email list, you will not build a business. You will never OWN your traffic. So in this module, Jonathan shows you how to choose the right email list service for you, how to start collecting emails and building your list, and how to set up your first email sequence (HUGE!). Module Three continues what you learned in Module Two with a comprehensive plan for building your email list. My favorite lesson that I actually copy myself is Lesson One: “How to Do a Content Upgrade from Start to Finish.” Jonathan teaches his proven formula for doing content upgrades in your posts. A content upgrade is where you write a post about a topic and then offer an “Extended Version” or “Enhanced Content” (AKA an upgrade!) in exchange for their email. His formula works…I’ve used it for a couple of years with thousands of new subscribers to show for it. There is a LOT more to this module, but that was the highlight for me. 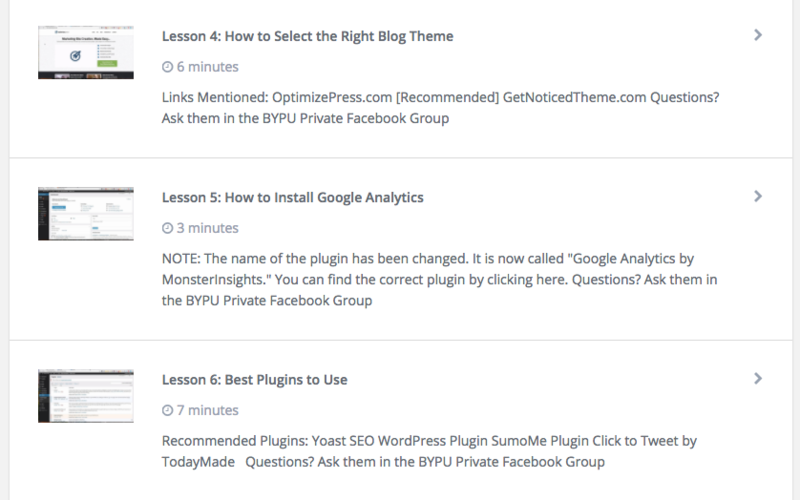 And lastly…Module Four, which is all about getting blog traffic. Jonathan shares his exact blueprint for getting traffic from search engines, email, referral partners, social media, paid traffic, and more. When you have the experience that Jonathan has and the success stories that he has, there is no risk. If you follow what Jonathan teaches, I guarantee you will be successful. Yes, I guarantee it because I’ve seen it for myself! That said…Jonathan makes it even EASIER to make the decision to invest in Blogging Your Passion University. He offers a 100% Money-Back Guarantee. When you have the results he has had, it’s easy to offer such a guarantee, because he rarely has anyone request it. If you put in the work, you will get the results. It is that simple. Jonathan has some awesome bonuses with his courses, but I want to sweeten the pot even more and make this is a “sure-fire” decision for you. I have FIVE exclusive bonuses that you won’t find anywhere else. But you only get them if you purchase Blogging Your Passion University through my link. That’s why I made sure to include a bonus that is normally only available to my private coaching clients – My Destroying Your Limiting Self-Coaching Guide. It takes a certain mindset to build a successful blog and in this guide, I help you conquer the four most common limiting beliefts that hold you back. I’m including this because I knowjust how important it is to conquer your limiting beliefs to accomplish something as awesome (and intimidating) as starting a blog and growing it. 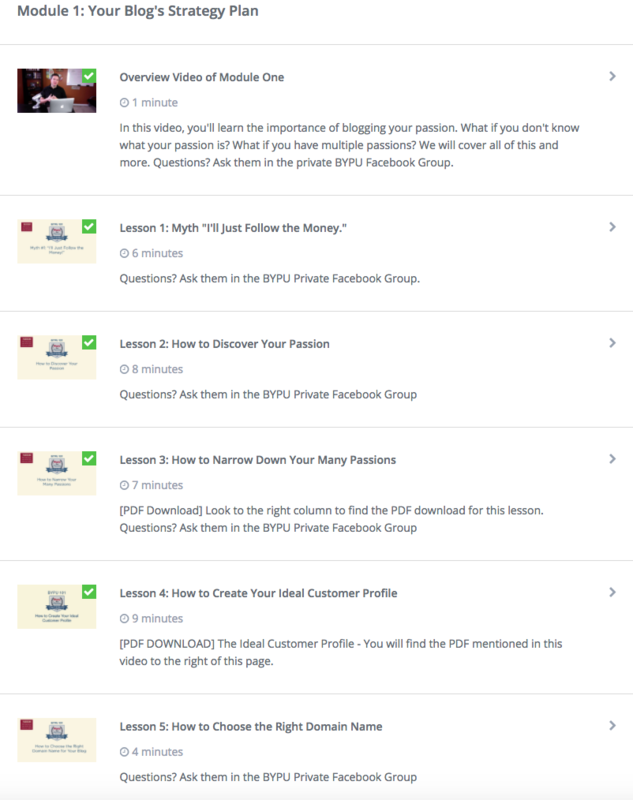 If you go through my link to purchase Jonathan Milligan’s Blogging Your Passion University, you will get another bonus that is no longer available to the public. A couple of years ago, I hosted an event with networking experts Mark Sieverkropp and John Corcoran called Networking with Purpose LIVE. Getting your blog in front of the right people requires the right connections. You may think you can blog in the comfort of home and not have to know anyone, but that is not true. You need to know the right people who can help spread the word…YOUR word! That is why I am including access to the replay of the event. This two-hour training will show you how to build, grow, and serve your network to help you launch blog and grow it beyond your wildest dreams (really!). In it, I share my own experiences, tips, and strategies to help you do just that. You’ll also hear from John and Mark, who share their own expertise as well. The cheapest ticket for the event was $197, but it is yours for free when you join Blogging Your Passion University through this link. I don’t even sell this training anywhere, but if I did, I would sell it for at least $497. The value of this training is worth at least one month’s income from it…and the students who’ve been through it are consistently earning $1,000+ in passive income. I personally earn more than $100,000 per year just from my resources page. The only way to get this training is to purchase Blogging Your Passion University through my link. If you want to grow your blog long-term, you are going to need help from others. And there is no better way to grow your traffic, your audience, and your influence than by leveraging the power of affiliate partners. In this training, which sells for $1997 on its own, I show you how to find the right affiliates to spread your message with their audiences. These lessons are based on more than 20 years experience managing affiliate programs for clients such as Michael Hyatt, Zig Ziglar, Jeff Goins, Lewis Howes, Shark Tank’s Kevin Harrington, Ray Edwards, Claire Diaz-Ortiz, Shutterfly, and more. 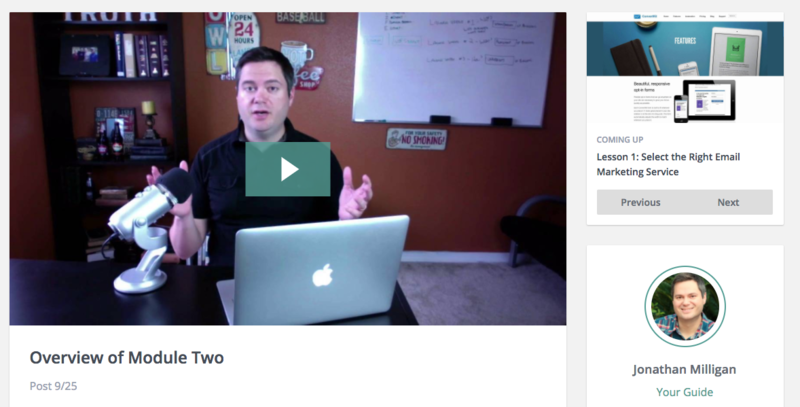 And…if you invest in Jonathan Milligan’s BYPU course through my link, you get this $1997 course for free. So…you’ve read the full review. You’ve seen the benefits and the bonuses. My only question is…what are you waiting for? Click here to get Blogging Your Passion University from Jonathan Milligan now.